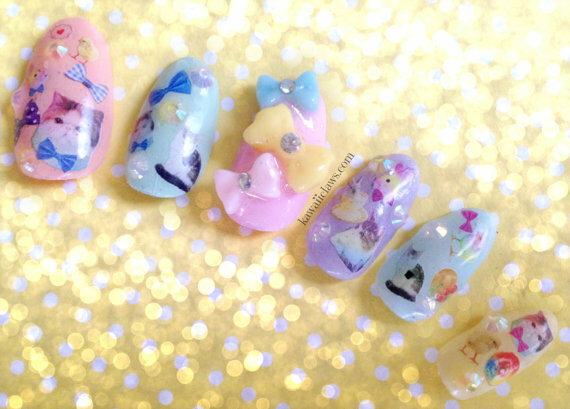 In my last nail art post I wrote about how much I missed my long talons after giving my real nails a break for summer, after discovering Kawaii Claws on Etsy that has been taken to an entirely new level! 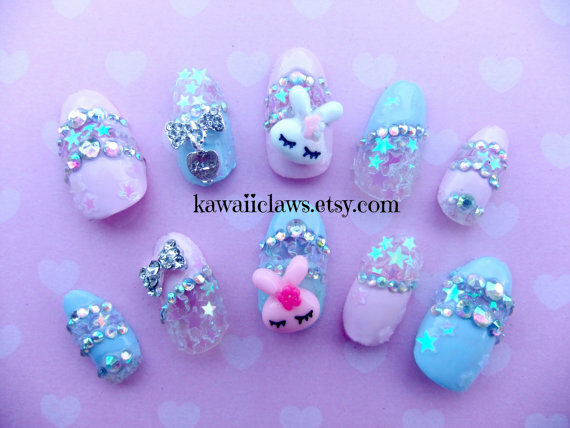 I've been lusting after these insanely cute sets for over a week now and it's highly likely that in the next couple of days I'll cave in and order some...they can be handmade to fit your nails exactly (you are provided with instructions on how to measure your nails) and as each pair is made to order, details can be changed to suit your own personal preferences, plus, they're reusable! 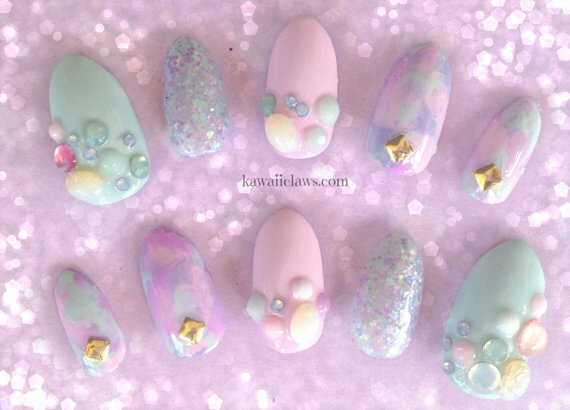 I am in love with every single set here, my favourite however has to be the last one - pastels, kittens, bows AND sparkles... I can't imagine anything better. We love these!! If I were she who could handle anything other than polish, I would go for the top lot. 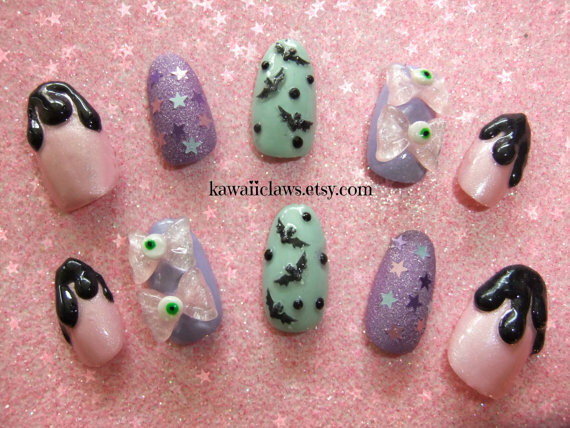 Adorable nails! I would love to see some on you! I may be obsessed with all of it. I want them so bad! 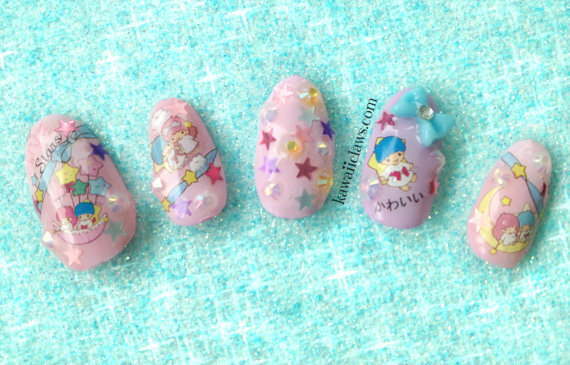 I've seen a few 3-d nails on Amazon, so tempted!